I feel like i'm experiencing some seasonal confusion. For the last week, the weather has been so gray and overcast, and when I look outside my window it just feels like it's got to be cold out there. I've been layering my scarves and cardigans in anticipation and then… I step outside. Reality check! October 1 is upon us, halloween decor is making it's way out of the attic, we're surrounded by pumpkin everything, but it still feels like summer here in Wilmington. 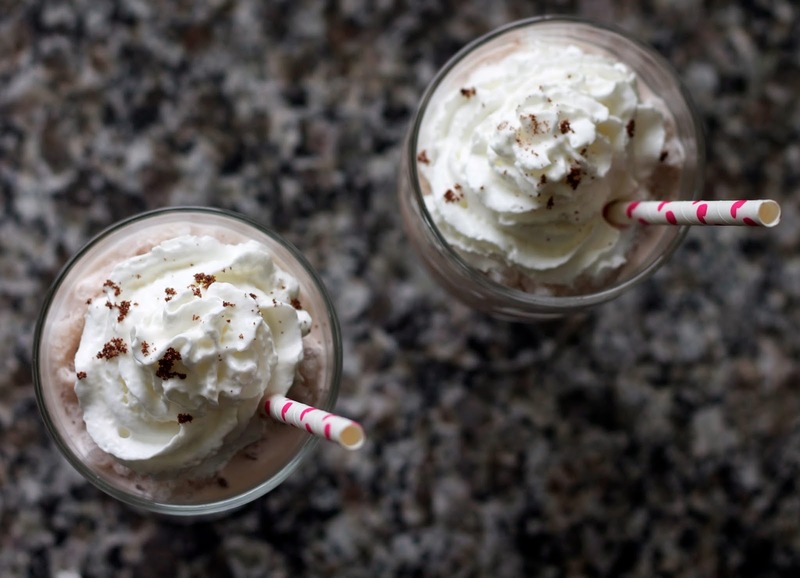 This frozen hot chocolate is the perfect prescription for your seasonal confusion. Cool and refreshing, but with the wintry taste we all love. 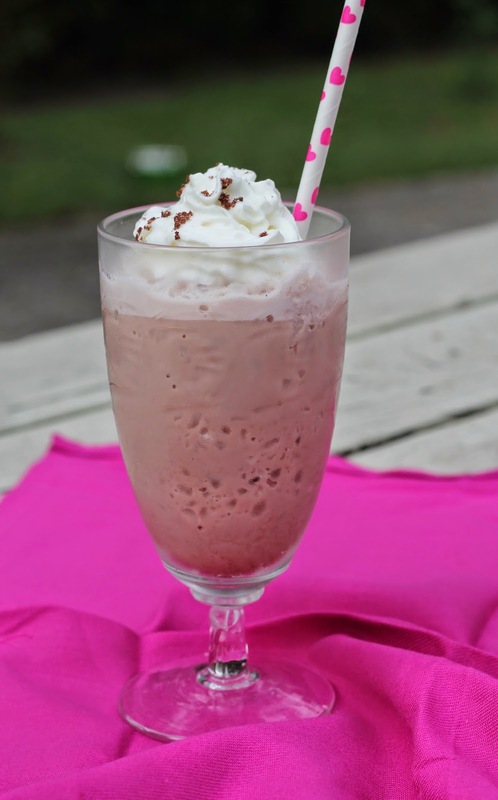 Combine milk, hot chocolate mix, and ice in a blender. Blend until smooth. Divide among two glasses and top with whipped cream and chocolate shavings. Enjoy! **If your refrigerator has an ice crusher, help your blender out and start with the crushed ice rather than large cubes. Oh my gosh that drink looks amazing!! & the photos make it look even better!